This beautiful baby boy was such a pleasure to photograph! He was so sweet for his session. We were able to do plenty of parent poses and his mom and dad even opted for naked baby (which is always a risk for family portraits). He is so photogenic! He must get that from his parents, because WOW did they ever have a stunning maternity session (check that out here)! 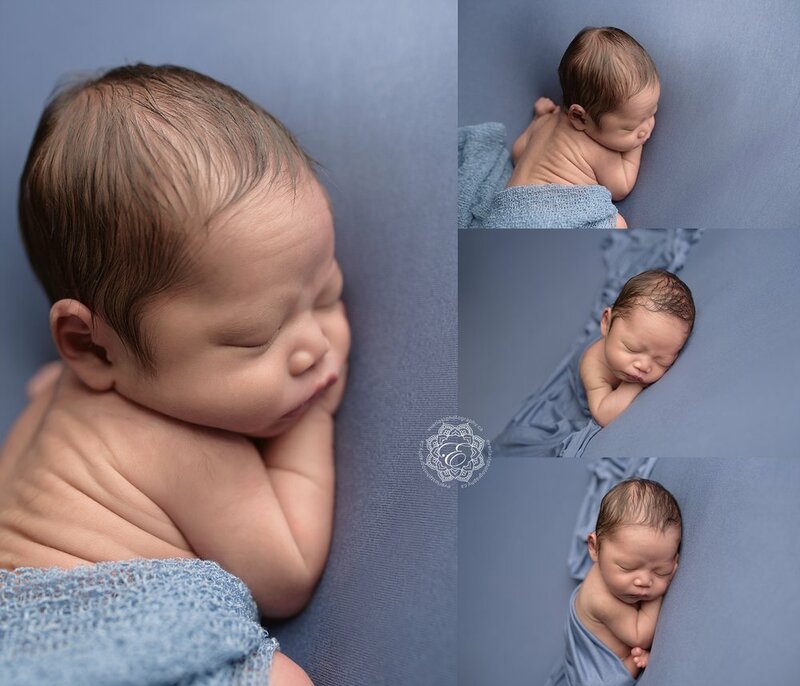 Tayden's mom wanted a bright blue for her son's newborn portraits and so we worked that in with the grey and cremes that we had planned as well. We also got to include a couple of creative art pieces like the one you see last of Tayden in a glass teardrop. These are always so fun for me to create! I love creating canvas worthy art pieces featuring babies!